The National Young Women of Distinction honor is given by Girl Scouts of the USA to the top ten Girl Scout Gold Award recipients whose Take Action projects demonstrated outstanding leadership, had a measureable and sustainable impact, and addressed a local challenge related to a national and/or global issue. The girls and their projects will be showcased on the Girl Scout Blog in advance of being honored at the 2014 national convention in Salt Lake City this October. Julia moved forward with her Gold Award project only after first looking backwards! As a history lover, she knew she wanted her project to touch on a historical theme. After some digging, Julia discovered the Rosenwald Schools and their critical status on the National Trust for Historical Preservation’s Endangered Sites list. The schools were built in 15 southern states by Booker T. Washington and Julius Rosenwald, beginning in 1910, to improve African American education. Unfortunately, after integration in 1954, the schools were somewhat forgotten. Julia stepped up to be the one to remind people of their history and importance. Julia began by nominating the Buck Creek Rosenwald School to be listed on the National Register of Historic Places. She was the youngest person in Kentucky to ever nominate a site! In 2013, it was successfully listed, a recognition that deemed the school historically significant. Julia also collected alumni stories through oral interviews that she went on to include in a traveling museum exhibition. Her museum continues to tour throughout Kentucky through different curators. Julia continues to show people why historical preservation is important and that anyone can be a part of it. Audiences all over Kentucky have witnessed her amazing commitment and ability to lead others. These qualities were particularly evident during a speech she gave at the National Trust for Historic Preservation Conference. Julia is still working through the challenges, big and small, of displaying her exhibitions. Luckily, she has the support and interest of so many others. She hopes to study history in college and continue preserving the past! 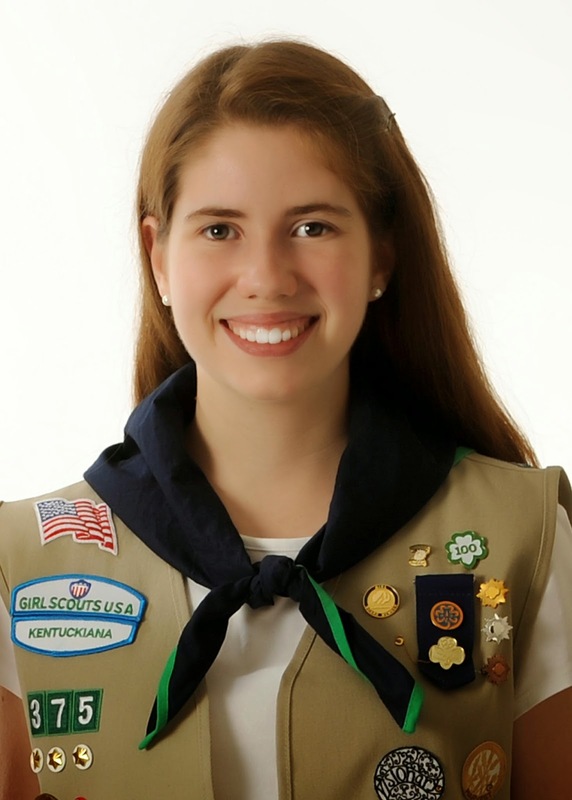 Girl Scouts will honor Julia and her fellow National Young Women of Distinction on Sunday, October 19 at our 2014 Girl Scout Convention.